Hi there! This post is taking a quick "break" from our typical style. This is an opportunity to contribute to a great initiative AND get a unique bilingual calendar to inspire you in 2014 (complete with quotes, eco-tips, recipes, and fantastic pictures). Click here to jump straight to the "get my calendar today" part. For those who would like a bit more info, keep reading. Thank you all for your support! For over a year, I've been working with an initiative here in Quebec City which aims to provide earth stewardship resources to Anglican churches across the province. 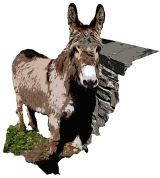 Perhaps you remember the post from about a year ago, about Aldo the donkey. Well, since doing the articles and calendar, I've helped set up their website and plan an urban raised-bed garden which was installed this summer at the Anglican Cathedral in Quebec City. Thanks in large part to Aldo the donkey, our initiative has also helped the cathedral go through a green audit process, and has developed incredible and unexpected relationships with folks in the neighborhood, including a local school and a women's shelter and the projects have garnered lots of media attention. We've secured a couple of small grants, that made the garden project possible, and are in the process of growing the initiative to offer resources across the province. 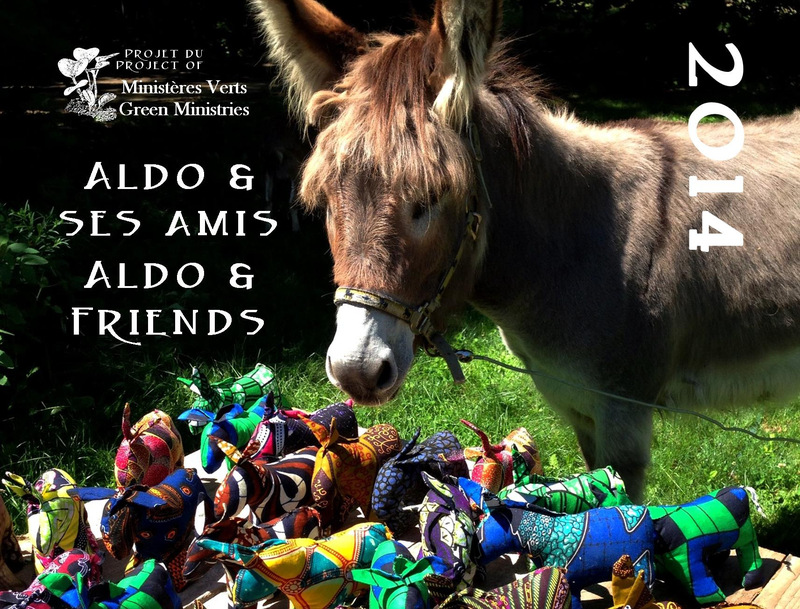 The sales from the 2014 Aldo calendar will directly support Green Ministries efforts, including providing suggestions for how to "green" a church's hospitality (re-usable coffee cups, locally-sources treats, etc. ), liturgy (locally made bread and wine, etc. ), and more. The potential for faith communities to have positive influence on community sustainability is difficult to overstate, and I have thoroughly enjoyed contributing to these projects. We're delighted to announce that the 2014 calendars are ready! If you have not already ordered yours, please click here for detailed ordering information (including mail order requests). All proceeds support the Green Ministries initiative. 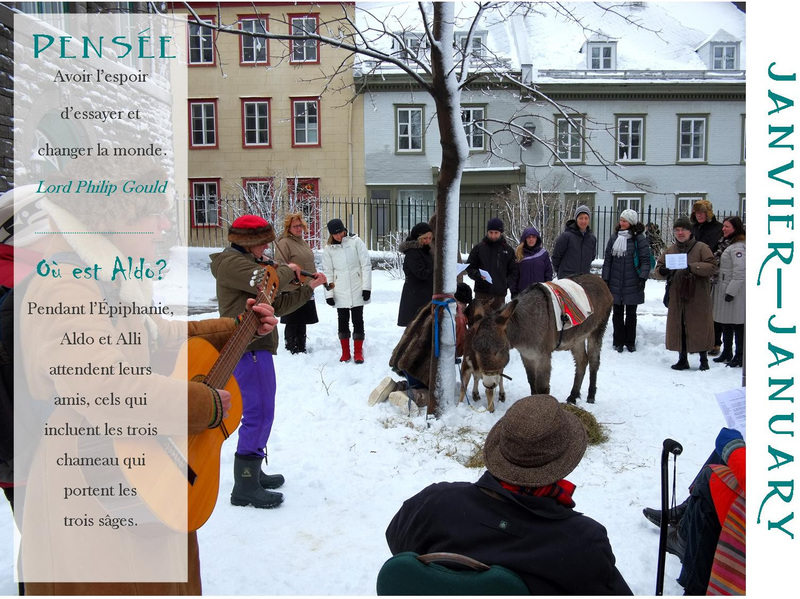 This year's calendar is a mix of English and French, and includes quotes and verses, eco-tips, key liturgical and secular dates, and lots of photos of Aldo the donkey and his friends. Translations will be posted on our website for each liturgical season. 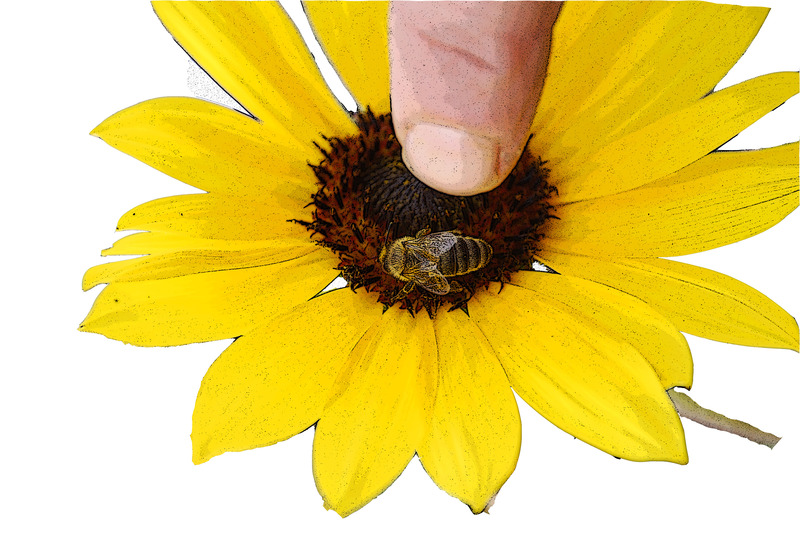 Please subscribe to our news updates/blog to receive notice when each season is available. Click the calendar cover to order yours!